So yes, it's good to have the final product submitted. But there's still a nagging fear of typos. What if, for example, the one heavily revised story is peppered with mistyped words? I didn't have a chance to do a once-over on that story after making the edits - I simply ran out of time. And there will be time for final, final edits before the acid-free archival copy goes to the university library, but I don't want my department chair to read over something that looks like it was slopped together the day before. (never mind that I typed in much of it the day before - the edits were a week in the making). So what do you do when you need something to look good? Simple answer: proofread. Better answer: find beta readers to also proofread. The first is to set your work aside for a time. If you have a week before you need to do anything with it, let it sit. Come back to it after you've had a few days to forget what should be there - this way, you'll have fresh eyes to see what's really on the page. Sometimes you'll be surprised by what you'll find. Proofreading my thesis yesterday, I didn't just find a typo - I found a huge factual error sitting right there in a story I wrote last semester for workshop. I was writing about a soldier loading and unloading an M-16 - something I did many, many times while in the army - and I reversed two of the steps. Maybe it wouldn't have been a huge error for most readers - most readers may have never noticed - but it was a glaring mistake for me, the writer. Worse, in the next paragraph, the story contradicted the mistake - this reveals just how rushed that story was in the first draft, and how little time I spent really reading it over for workshop. It's a strange phenomenon, but we tend to notice mistakes best when we're reading aloud. Part of the reason, I think, is that our minds demand extra assurances when reading aloud. We don't want to say something unless it's the exact word on the page. And this is especially true if you're reading in front of a crowd. Yes, you can try this - no matter how many times you've proofread something, you will find new mistakes when you take the story over to an open mic. It's almost as if the social needs for perfection overwhelm our desires to see the story we wanted to write. In my next post, read more about the benefits of reading aloud. The MFA thesis paper is really some thing great piece of work and it is because it takes so much of hard work and this is why the editing is really important here. https://www.essayrevisor.com/good-essay-titles-generator/ It's help me a lot on my thesis writing. For the editing of the MFA thesis you can get the best blog in this area. 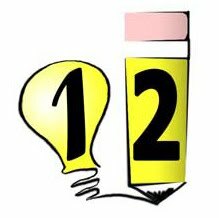 With the 12 writing resources you can find the best fun here in this zone. Just go to http://www.sentencerephraser.net/ and find the contact and the support for the thesis writing. Yes indeed its very tough job because you have to bring excellence and glimpse of perfection in that write up which is quite challenging http://www.onlinerewriter.biz/about-us/ .I appreciate your writing skills.Thanks.